We’ve explored Salt River’s lifestyle by looking at markets, the Salt Circle Arcade and at factory shops. We’ve even looked at some restaurants and places to stay but one thing that blew us away was the people of Salt River. The vibrant personalities, the friendly families and the people who know Salt River the best. I met with Moegamat Talip who lives and works in the area. 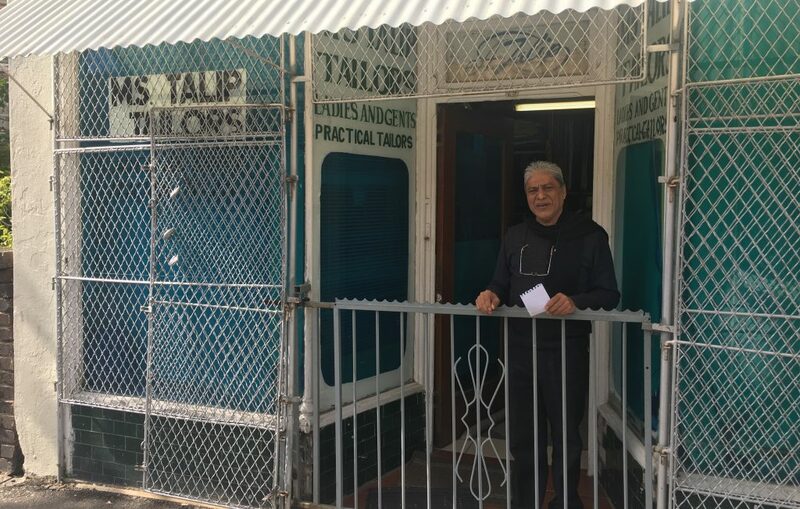 He has lived in Salt River for more than 60 years and has been tailoring the clothing needs of the community since he was 12 years old. 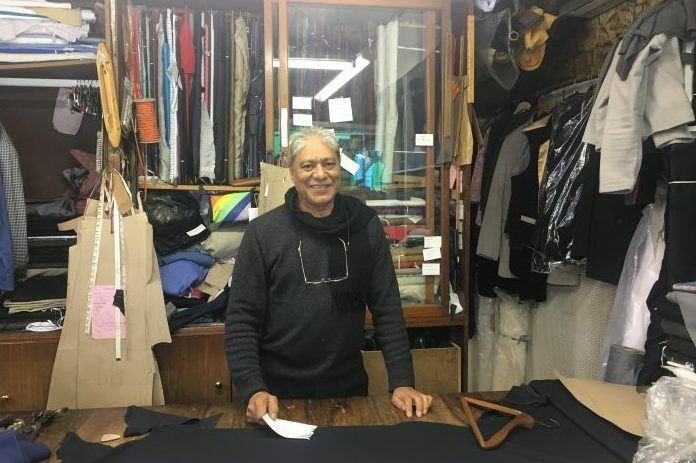 Meeting with Moegamat was one of those truly Capetonian experiences you only hear about as passing stories because it is only in Salt River where you can go to a person’s shop and be invited into their home for a “chat”. I arrived at 29A London Road mid-morning and there was already a customer in deep conversation with Moegamat. In a swift and effortless way, Moegamat explained to the man that if he wanted to sew buttons on his sequin denim jacket that he would personally show him how to do it. Moegamat led me through the back of the shop which had jackets, shirts and pants draped along the walls. There were containers in every corner filled with pins, needles and thread. The myths were right, there were traditional tailors left in Cape Town and he lived in London Road. After being offered something to drink, Moegamat ushered me into the deep red decor of his lounge. The walls were covered in stunning memorabilia of his family and his life in Salt River. Every aspect of the lounge was coated with rich history, with stories flowing through the finely decorated room. Moegamat had moved from Woodstock with his family when he was 12 years old. He is currently staying in the house he moved into with his family 62 years ago. His father opened his tailoring business and Moegamat helped him. He explained that at the time that his family moved to Salt River, families all lived together in the same houses. There were, on more than one occasion, up to four or five families living under one roof. Salt River was an area that mostly coloured people lived in, with the average age being “youngsters and their large families,” he said smirking. Most people rented in the area with a few exceptions here and there. He now owns the house his family lives in as well as the shops in the front. The community of Salt River has changed rapidly throughout the decades. Nostalgically, he speaks of the different periods he has experienced. 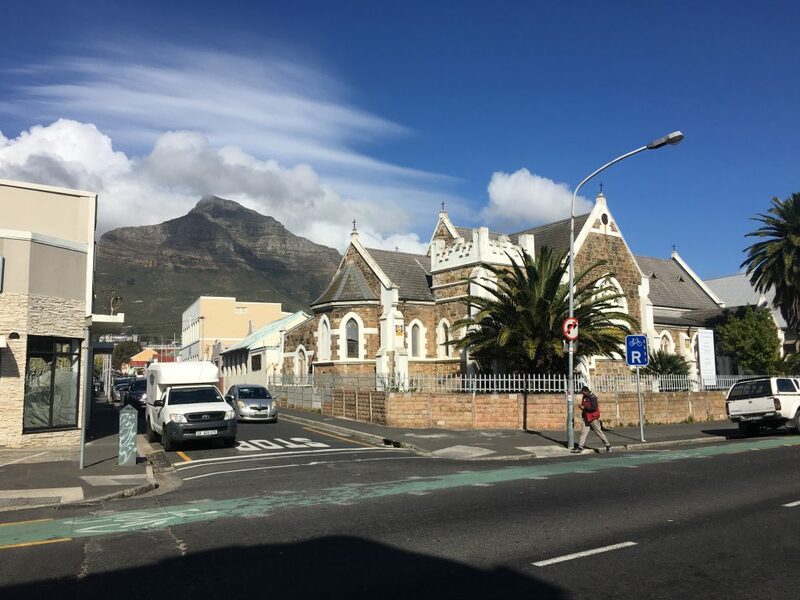 Memories such as residents sharing their wine on Sundays with each other, and knowing all one’s neighbours and the kids growing up with each other – a real community which lived harmoniously together. Speaking of children, Moegamat has three highly accomplished kids. He is an incredibly proud father of two girls and a boy. His boy, being the youngest, is qualified in office management, his middle daughter is a qualified attorney and practices as a notary and conveyancer and his eldest daughter has a PhD at the age of 30. When I asked him about his clientele, he said he had regulars but they have all “begun dying off,” from old age that is. His customers have been coming to him for over 20 years. He explains that it is quite a lost art to be a tailor. It is an intricate process which involves time, patience and many bruised fingertips. He explains that he doesn’t mind sharing his tips and techniques but it isn’t “a week long process to learn, it is years!”. “There is a market for tailoring now, but nobody wants to do it because it takes five years to master the art of needlework. Then you need to learn how to iron, then seamwork and cutting and designing to help you know pattern work. You need to learn how to design for each and every client. It is all practical, you can study theory to learn how to make make a pair of pants but in reality getting the pants to fit is a whole different ball game,” he explains. Learn more about the terrific tailoring at Talips by visiting their shop for any of your clothing mishaps. Moegamat Talip will help you in all the ways he can; not only is he friendly and sincere but he will probably make you chuckle when you visit him in Salt River.